UKPC claim dismissed. Misleading signage does not create a contract. UKPC were claiming against Mr Kapasi for 3 tickets. 1. Parked on a double yellow line in an industrial estate. 2 and 3. Parked in a parking place without displaying a valid permit. Number 1 was a genuine 'mistake' because the parking notice was covered by a trailer who was unloading in the same line. Charges 2 and 3 Mr Kapasi believed he was parked correctly. There were two car parks on the same piece of land with no distinction between them. UKPC disagreed and issued a claim through SCS Law. Mr Kapasi reported the hearing was pretty gruelling. He felt very intimidated and out of his depth. Nevertheless he prevailed and all charges were dismissed. The judge asked Mr Kapasi to accept or deny he was the driver. He accepted, and therefore PoFA keeper liability was not relevant. The judge went against the Beavis ruling with regard to the BPA code of practice not being followed - the entrance signs to the parking site were missing. He said this only a guideline and does not have legal standing, KADOE contract breaches were between UKPC and DVLA and do not give me a legal standing. The photographs do not need a start and end time. The Beavis case was mentioned in reference to the size of the charge. 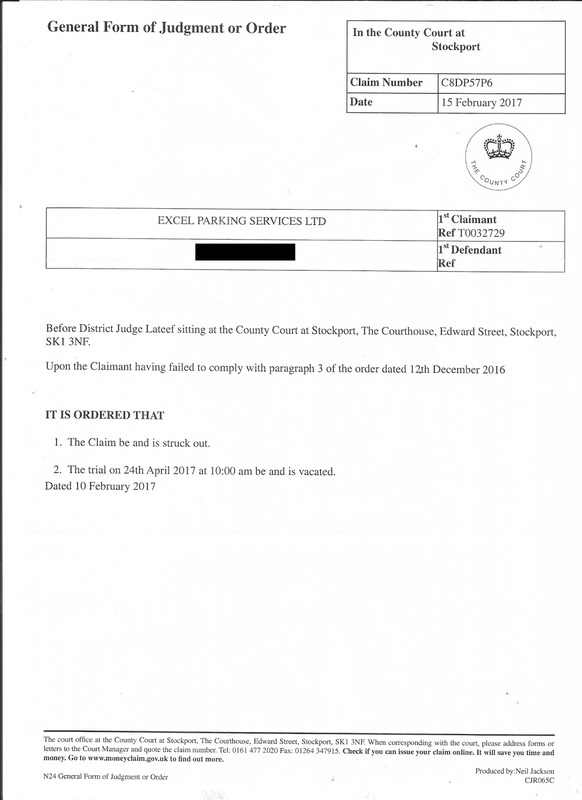 The judge ruled that parking on double yellow lines on private land does not create a PCN contract unless sufficient signs are in place and visible. Charge 1 was dismissed. The multiple misleading signs - one not allowing parking and the other allowing parking, in a bigger typefont and lower in height than the UKPC sign meant charges 2 and 3 were dismissed. Additionally the The contract between UKPC and landowner had an area map which was very illegible. It turned out Mr Kapasi was not parked within the 'marker pen' boundaries.Charges 2 and 3 were additionally dismissed for that reason. Mr Kapasi asked for costs. Loss of earnings was capped at 95 pounds per day. 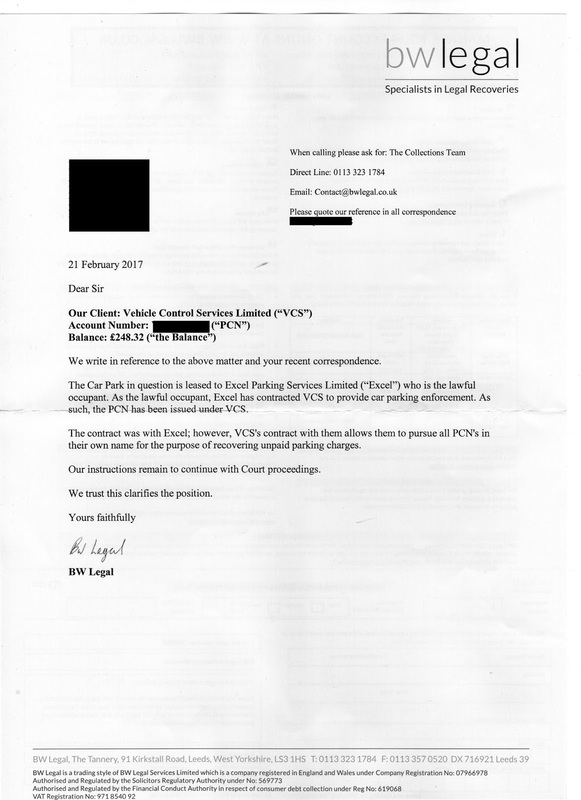 It is interesting that parking companies claim and judges rule that their charge are valid because they are within the range of their code of practice. But then they also claim and judges rule that they don't have to obey any other aspect of the code. The Supreme Court disagreed and stated that obeying the Code of Practice is an essential part of getting keeper data from the DVLA. As the charges were not valid, UKPC will have committed a number of data protection breaches pursuing charges which were not fair or lawful. Mr Kapasi was put under extreme stress by the process. 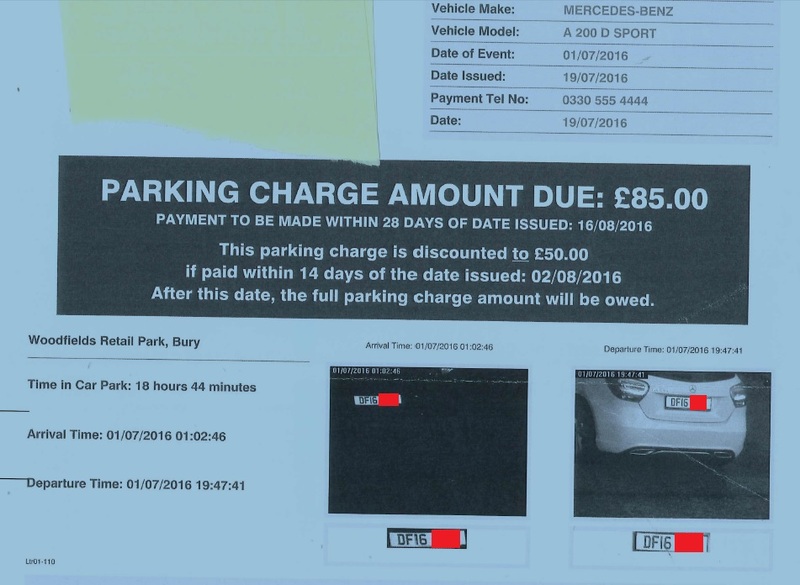 Although a minimum claim of £250 per parking charge would seem to be in order, in this case Mr Kapasi may be able to claim a higher sum due to the level of distress caused. VCS v Mr W C7DP4Q93, 22/2/17 Bradford. 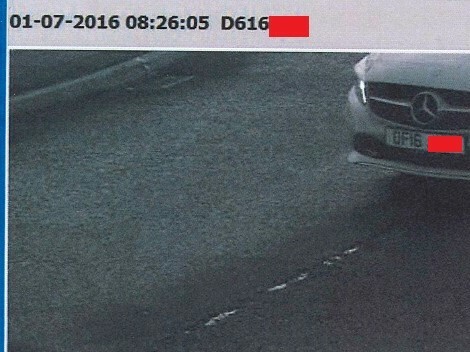 According to Vehicle Control Systems (VCS) Mr W's vehicle was apparently parked in "Cavendish Retail Park", in a "Restricted Area of the Car Park" on 12/05/2015. They did not provide any more information as to the location or the period when the contravention happened. As Mr W was not the driver and keeper liability was not invoked, he was not liable to the charge. VCS disagreed and engaged a bottom-feeding law firm, BW Legal, to issue a claim. In his witness statement a map of "Cavendish Retail Park" (Google Maps), which is in Rice Lane, Liverpool and also provided his Google Maps Location History on the date they specified. This did not place him in Liverpool or any other apparent Cavendish Retail Park's in the country. 14 days before the hearing, BW Legal supplied their template witness statement and the information that he had requested, along with their usual tripe, consisting of 49 paragraphs of inaccuracies, misinformation, legal misdirection and general garbage. The Judge clearly knew his stuff and had done his homework. The poor young lady from BW Legal was ripped apart and the Judge handled the hearing beautifully. The Judge was also amazed with the data held on Google Maps Location History. Not marking out the area of the "restricted area of the car park". The Judge gave an example in Leeds where a company had done this. The Witness Statement was tooooo looooong and most irrelevant. And they were unable to spell Mr W's name correctly. Not so much a win, as a rout. 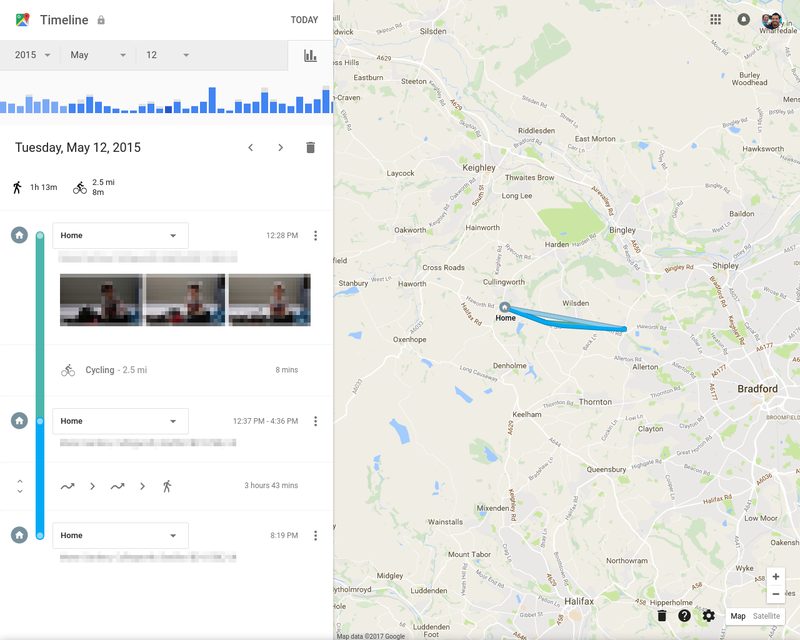 Both Google and Apple provide location history facilities. Although some people hate them, they can have their uses, as this case shows. 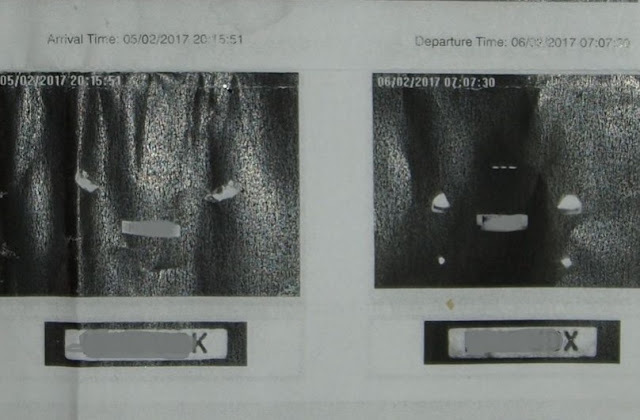 ParkingEye attempted to scam a driver out of £85 by claiming they were parked in a car park for 18 hours. The scam only failed when the driver proved they were parked over 15 miles away in a secure car park at work at the time. In an amusing twist to the tale, the ANPR at the works site misread the registration, interpreting a 'F' as a '6'. Perhaps this gives a clue as to why ParkingEye's system also failed. Parking companies like to maintain the fiction that ANPR is an infallible technology, when the reality is that it is anything but. Not all drivers have a secure car park they can use to prove they were not in a ParkingEye car park. ParkingEye play on this, and sadly have even won court cases where their clever advocates persuaded judges that ANPR technology is infallible. It is of course, not fair or just that drivers then have to pay several hundred pounds for a contravention that never even occurred. Parking companies use ANPR to save costs of parking wardens. It is not right that they use a minimum cost solution which does not work properly and issues bogus charges. Technological solutions and failsafes do exist, and create a much fairer environment. The Marlborough Hill site in Bristol is one such example - freedom of information requests reveal that the number of charges for overstays are minimal. The Prankster calls for a change to the code of practice to ban the use of ANPR except on sites where a failsafe is in place. It is likely that the driver, now has a valid data protection claim against ParkingEye. They have used their data in a way which is clearly not fair or lawful, which violates data principle 1. A valid claim would appear to be in the range £250-£600. ParkingEye's attempt to scam a driver out of £70 failed when the driver spotted that she had been charged not for the time her car was parked, but the time between her car entering the car park, and a different car exiting. As any competent person can see, her car's numberplate ends with a 'K' while the other plate ends with an 'X'. This is the second time this driver has been issued a bogus charge by ParkingEye, clearly showing their technology is not fit for purpose. ParkingEye boast that each parking charge undergoes 19 checks before it is issued. No doubt they will now have to add a 20th check - that the car is the same for both entry and exit. Parking companies like to maintain the fiction that ANPR is an infallible technology, when the reality is that it is anything but. In this case the Optical Character Recognition (OCR) software has misread the X as a K.
The government have realised ANPR is not up to scratch, and banned the use of ANPR for council car parks, but have not yet taken this one step further to regulate the use in private car parks. There are responsible ways which car park operators can use ANPR. For instance, the Marlborough Hill car park in Bristol shows that given the right technology a car park can be run harmoniously with a minimum of charges issued. However, operators like ParkingEye do not use technology like this - presumably because it would hurt their profits too much. According to ParkingEye sources, they operate their cameras at efficiencies anywhere down to 70%, which means that 3 of every 10 cars entering or leaving are incorrectly detected. This is measured by comparing the vehicles apparently entering against the vehicles apparently leaving. The Prankster believes this is unfair and that either government or the industry should set higher minimum operating standards. It is likely that the driver, Diane Kinvig, now has a valid data protection claim against ParkingEye. They have used her data in a way which is clearly not fair or lawful, which violates data principle 1. A valid claim would appear to be in the range £250-£600 per incorrect parking charge issued, or £500-£1200. Vehicle Control Systems (VCS) have a huge problem with historic parking charges issued at Albert Street, Birmingham, and the problem is that they had no right to issue the charges in the first place. This is because the signage is all in the name of a different parking company, Excel Parking Services. The signage helpfully says, "By parking on this private car park you are entering into a contract with Excel Parking Services Ltd."
Now, VCS could get involved in parking management at this site in a number of ways. 1) VCS could act as debt collectors, and collect monies on behalf of Excel. They have gone for option 3, but this only affects new charges, not historic ones. What this therefore means is that when VCS file charges against motorists for this site, they have no right of action. Only Excel would have, but as Excel have never contacted the motorist, this would present its own difficulties. VCS are of course fully aware of this, but this does not stop them filing claims. They know that most motorists will take fright at the sight of a claim form, and pay up; so VCS play the numbers and file anyway. When the motorist points out the flaws in the case they bluff and bluster. Here is a typical letter from legal muppets, BW Legal, "explaining" that VCS can pursue a claim. The bluff did not last long - 3 days. Here is the next letter discontinuing the claim. You have to despair at the legal profession if their level of knowledge is such that they think one person can claim for a contract formed with a different person. This is Contracts 101. The situation worsens when you find out that BW Legal have been awarded Legal Team of the Year 2016. This means there are large numbers of lawyers out there who are even more incompetent than BW Legal. 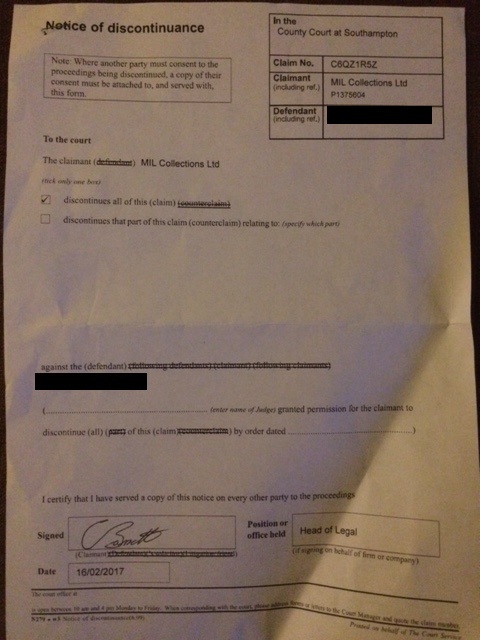 MIL Collections have discontinued yet another claim, this time against Ms L.
The form is signed by Chris Bartlett, MIL's head of legal, who appears to be one of the few real people who sign MIL's forms. The claim relates to an alleged charge seemingly purchased from Capital to Coast. Once the claim was allocated to Southampton, MIL send the defendant a letter saying "It appears from your last correspondence that you don't understand the court process." and advising her to contact a solicitor. This is always a good sign that MIL are running scared and will eventually discontinue because they know the defendant has had advice that MIL's claims are bogus and are almost guaranteed to fail in any hearing. A few weeks later, the notice of discontinuance arrived. It is worth casting our mind back to those heady days in July 2016 when Alan Davies of MIL Collections was boasting to Parking News that he always sends advocates to hearings. Since then the wheels have fallen off his business as it has been revealed the 'advocates' he sends often do not have right of audience, and even when they do, still lose. And of course, as per todays case, when MIL know they are facing a robust defence, they discontinue. Strictly speaking this particular scenario would not mean Alan Davies is lying when he says he always sends advocates to hearings, but it would be a case of being economical with the truth. It seems like Ms L did understand the court process after all, and that it was Alan Davies who did not. This was a claim for two PCNs, which with creative accounting Gladstones had inflated to a total of £395. The original claim form contained the usual non-existent particulars, just a list of dates and amounts, and a Defence had been filed, inviting them to fully particularise the claim, which they never did. The only other document received by the Defendant was the Claimant’s Directions Questionnaire, but no Witness Statement at all had been served prior to the hearing. We therefore wondered whether they might try and spring it on us on the day, or indeed whether they had emailed a discontinuance late in the evening beforehand. It transpired that, at 4:18pm the evening before the hearing, a Notice of Discontinuance (NoD) had been sent by email from Helen Cook at Gladstones, to John Wilkie at PPA. In the accompanying message, she claimed that they had not received a copy of the Defence from the Court, and therefore had been unable to comply with the directions to file a Witness Statement 14 days previously, and so had no choice but to discontinue. This message had a distinct piscine odour about it, as without a copy of the Defence they would not have been able to complete the DQ and their usual nonsense request for special directions that the case be heard on the papers. In any event, the NoD had not been served on the Defendant, so he duly turned up to court at the appointed time, accompanied by Bargepole as his Lay Representative. The case was still listed on the Court notice board, and we reported to the Usher, who said (unsurprisingly) that nobody had turned up for the other side. When we were called into Court, DJ Nichols said that a NoD had been emailed to the Court, and received at 4:21pm the previous evening. As the Court working day officially ends at 4pm, this could not be considered to have been filed in time, and would be deemed to have been filed on the day itself. Mr H confirmed that he had not been served with any such notice. The Judge said that the late filing of the NoD, when the Defendant and his representative were already in Court, constituted unreasonable behaviour, and in addition to ordinary costs, he awarded further costs under CPR 27.14(2)(g), so a total of £195. All done and dusted in under ten minutes, and Park Direct will no doubt be looking forward to receiving Gladstones’ invoice for their sterling work. It does seem like parking companies would rather discontinue than lose. Only in the curious world of Roboclaims would this make sense. - Vehicle was parked at Perranporth, Cornwall. - A valid ticket was purchased, but was flipped upside down in the wind. Still displayed. - This was responded to, including all evidence, appeals and sent recorded to both Gladstones & AS Parking. - 13 September N180 form now received and a letter from Gladstones stating they wish to proceed with the claim, and requesting to be dealt on paper. No mediation. AS Parking seem to come to the attention of The Prankster mostly for upside down tickets. If this is the main source of income for Kev, he probably isn't in the right business.This is not proper car park management. A proper car park company would recognise the problem and find ways to solve it, such as printing on both sides, or using tickets which stick to the windscreen. There are also a myriad of technological ways to solve this. Before they began, the judge explained that counter claim had been refused in an order dated 17th February that neither side had yet received. He apologised for the delay in dictation. The counterclaim was submitted early in January. It was up to the defendant to either adjourn to submit an application to amend her claim or to carry on with today's hearing with no counter claim. It was decided they should carry on. The judge seemed troubled that this wasn't really parking and the road on which the driver had stopped didn't really lead anywhere but agreed that the charge had been properly issued. He also seemed troubled that it would have been necessary to stop and read the small print to be able to agree to the contract, but had a jovial and good natured conversation regarding this with Mr Shoreman-Lawson. The defence was that the Notice to Keeper did not comply with PoFA and that the keeper was not liable; that the signage was forbidding and incapable of forming a contract; that a grace period ought to have been applied and forty two seconds was well within the period; that the map depicting the vehicle parked did not show the boundary correctly; and that the vehicle was not on private land. The judge ruled that PoFA wasn't required to transfer liability as the driver was acting as agent of the principal - and that the law of agency applied. Therefore, as principal the keeper was liable. He wouldn't listen to any discussion and gruffly said 'I have already ruled on this point'. Judge "Yes but it says no stopping and they stopped"
BB - "But to be binding a contract needs offer, consideration and acceptance"
Judge - "Well it says no stopping"
BB - "But sir, what of consideration? What did the motorist get from this contract?" Judge - "He got to pay £100"
BB - "Then that would be considered an unfair term......"
Judge - cutting across BB "No. No it wouldn't"
The judge wasn't in agreement with any of the defence points at all. He was happy a contact existed, happy that the defendant was liable and happy that the claimant had followed the ATA code. The defence submitted a Land Registry Title that showed the Landowner wasn't who the claimant claimed it was nor with whom the claimant had a contract. The Judge was unimpressed stating "I'm happy that a contract was in place for the operator to issue charges. It doesn't matter if it's not with the landowner. It could be that the landowner sold the property to Ashflame Scunthorpe or that they have a lease or even that that they are trespassing but what is important is that they have contracted VCS to control the area." It was submitted that the Local Authority plan of the area showed that the Local Authority had adopted the roads to this certain point. And that the claimants 'plan' was no more than drawings on a Google Maps image. The defence submitted that based on the Local Authority plan and a blown-up version of the claimant's own photographs the vehicle was not where the claimant's evidence claimed it to be, but was in fact on the Local Authority adopted road. Based on the manifestly obvious boundary indicated on the Local Authority plan and that the claimant was claiming the vehicle is further along the road - despite the gablings on the wall in the photographs showing the vehicle not to be where the claimant said, the judge ruled "I can say on balance of probability that the vehicle was not on private land at all and I dismiss the claim." BB: "It was hard work, with the Judge disagreeing with all the main points of the defence arguments. Except one. It shows the importance of being thoroughly prepared in every aspect and having evidence to support your assertions. I felt battered and bruised leaving the court. Shell shocked. Still 1 nil to the motorist! The judge made a surprising number of rulings out of kilter with most other judges and established binding case law. It does seem bewildering that a judge would rule the driver is acting as agent of the keeper. If this were the case then there would have been no need for the government to create the Protection of Freedoms Act 2012 sch 4 to establish keeper liability. On a more practical note, if the agency angle were really true, no keeper would dare lend their car out again - if the driver killed someone and were automatically ruled to be acting as agent of the keeper then the keeper would be liable to a charge of murder or manslaughter. The judge also got muddled when he ruled that paying £100 was consideration to the motorist. This is obviously consideration to the parking company. There is no consideration to the motorist. Stephen Duff of Proserve has helpfully provided binding case law on this point. In the case of R (on the application of Duff) v Secretary of State for Transport  EWHC 1605 (Admin), Mr Justice Edis ruled that in cases of this nature the signage is a nonsense and that no contract is entered into. Instead, the case is one of trespass. This followed on from the judgment of HHJ Moloney in the appeal case of Ransomes Park Ltd v Anderson  3YS16797. Paragraph 11 of the judgment is the key part. Defendants may therefore like to reference this case as binding case law on these "No Stopping" cases. Although Ransomes Park won the case, this is of no help to VCS. As Ransomes are the land owner they can take out a case of trespass. VCS have no such rights. Additionally, Ransomes were able to demonstrate a loss. There ios no such loss in any of the VCS cases. This makes it clear there is a difference between the power to make a contract and perform a contract. A trespassing operator is in the position of a rogue trying to sell Buckingham Palace. They can make a contract, but cannot perform it. And if they cannot perform it, they cannot enforce it. The judge immediately contradicts himself when he then rules the parking company were in fact trespassing after all as this was public highway, and that therefore the contract could not, after all, be enforced. The Prankster recognises that parking companies play judge bingo and hope to get the occasional one-off wayward ruling. This is a symptom of there not being a robust regulatory framework controlling private parking, which encourages this rogue behaviour, and also at the lack of a proper one-stop independent appeals service, who understand parking related law and correctly apply it. Chopping Down Diseased Elms. Excel waste a lot of money to no avail. Elms Legal appear to be having a bad time. A Previous blog pointed out the issues with their "Solicitors Agents" and their right of audience, and that Edmund Shoreham-Lawson, their Compliance Manager seems to be repeating the same thing expecting different results. As a result, Mr Wilkie grabbed his laptop, and looked up Ms Jackson on the CILeX website, and completely failed to find her. As a result, he pointed out that he would be challenging right of audience. defendant) it would be examined later. This would have given a reasonable advocate a clue as to what the "preliminary issues" might be, but Ms Jackson didn't bother looking at the document, which did not help her later. putting people at ease is helpful. Nonetheless, he did examine both the lack of witness attendance and the Right of Audience. DJ Dignan was unimpressed that Ms Jackson has felt that examining the document provided to her was beneath her, and made it clear that he was satisfied that right of Audience needed examination. He handed the stage to Mr Wilkie. that a BW Legal Solicitor had conduct, therefore Ms Jackson did not. a Lay Rep is an Exempt Person within the meaning of Schedule 3 section 1(3) and therefore his physical address has no bearing - "he could be based in Oman and can still represent his client subject to the Lay Representatives order." An important point as well, Mr Wilkie's company was not involved in the case anyway. Mr Wilkie simply rebutted Ms Jackson's claims, and pointed out that BW Legal's witness probably has no knowledge of Ms Jackson, and she has not been involved in conduct. The judge in passing mentioned that the witness statement left the claimant in some difficulties in any case, but did not open the case. The hearing was adjourned for a short period while the judge considered the representations. know she had to pay. "However, from the papers, I also note that the Claimant's witness statement, the only evidence before me, will cause it to struggle on the substantive issue; we do however, have to consider a preliminary matter of Right of Audience. "The Claimant has not attended, and is represented by Ms Jackson, who states that she is a Solicitor's Agent, and the Defendant attends in person, supported by Mr Wilkie, a Lay Representative. I have to say that, in a small claim, there can be no objection to the attendance of a Lay Representative, and as a result we must return now to Ms Jackson's rights of audience. "Ms Jackson argues that she is an Exempt Person, although she is not employed by the Claimant's Solicitors, BW Legal. To examine her right of audience, I will examine the chain between the Claimant and Ms Jackson. The Claimant is represented in this matter by BW Legal, and the first paragraph of the Witness statement says "I have conduct of this matter". I find that BW Legal is involved in the Conduct of Litigation. 1) He can come to court, or send another lawyer from his own firm (or another) to represent his client, and both would have right of audience. 2) He can engage the services of counsel, who will have right of audience. 3) He can ask the firm to send an appropriate officer to represent the company. On this occasion, rather than do any of the above, BW Legal has instructed Elms Legal - the instructions are simple; provide an advocate for this hearing. BW Legal has passed the papers and the instructions to Elms Legal. Elms has not had conduct of the matter, and has essentially simply acted as a conduit between BW Legal and Ms Jackson. It has not added further instructions, not added any further evidence, indeed, it has acted as a pipe. Elm's instructions to Ms Jackson are those of BW Legal - go to the hearing, and conduct it this way. As a result Ms Jackson claims she is instructed by and involved in the conduct of litigation as staff of Elms Legal. But is this the case? exercising the right in chambers, that is, in a private hearing. This hearing is not in chambers. Additionally, it is clear that Ms Jackson has not been engaged to assist in the conduct of litigation, which is a distinct act from exercising right of audience. Additionally, while she is instructed, she is not supervised. Supervision is distinct from instruction, and there is no supervision relationship between the Solicitor with Conduct at BW Legal and Ms Jackson at Elms Law. I am not satisfied that Ms Jackson meets the requirements of an Exempt Person, and as a result, she has no right of audience before this court such that she can represent the claimant. It therefore follows that, the Claimant having not attended, having no representation and having not given notice under rule 27.9, I exercise my discretion under rule 27.9 to strike out the claim. The Defendant was awarded £55 costs. Shoreham Lawson will not reply to me." Excel persist in taking people to court for failures of their own machines. It is obvious to the Prankster there is a moral conflict when a parking company does this. It should not be possible to boost profits by using shoddy machines which keep breaking down. The Prankster wonders who is the real party "causing a nuisance" in this case? DJ Skalskyj-Reynolds examines Excel's notice to keeper and finds it does not comply with the Protection of Freedoms Act 2012 sch 4 (POFA). MR LAMOUREUX: Excel admit it doesn’t comply. MR PICKUP: Well, I have done many of these cases, madam, and whilst I appreciate they are all different and they are only persuasive, I have never had a judgment where the judge has said that this notice does not comply. It is worrying that for the past 4 years Excel's Notice to Keeper has not complied with POFA, and they have acknowledged this at internal appeals, POPLA, and even the IAS. Now suddenly they appear to be trying to pull the wool over the courts eyes by contesting that their notices are compliant. THE DISTRICT JUDGE: What puzzles me, Mr Pickup, is why Excel argues it does not have to comply with the Protection of Freedoms Act and they do not have to rely on it. I find that difficult. This puzzles everyone except BW Legal and Gladstones. THE DISTRICT JUDGE: Sorry, this company Excel sometimes relies on that? THE DISTRICT JUDGE: Other companies do? Ah, the old 'not using it' but 'saying they are using it' ploy. A valiant attempt by Mr Pickup to confuse the judge. THE DISTRICT JUDGE: Yes, helpfully, I do know that there is case law that says the keeper is not the driver and there is no such assumption, but helpfully, Mr Lamoureux has produced part of an extract. It is R (on the application of Duff) v Secretary of State for Transport  EWHC 1605, but there is other case law to this effect. There is no reasonable presumption in law that the registered keeper of a vehicle is the driver. It is trite law. I do not even need to rely on R (on the application of Duff v Secretary of State for Transport. Everybody knows that you cannot assume that the keeper is the driver which is why most parking companies, such as Parking Eye, always rely on the Protection of Freedoms Act 2012 and the notice should comply. Any other points in there that you say do not comply, Mr Lamoureux? It is worth noting that Excel and VCS recently redesigned their Notice to Keeper in a new attempt to comply with POFA. DJ Skalskyj-Reynolds judgment explains that there is no liability if the keeper is not the driver and POFA is not used. The case law quoted in Excel v Lamoureux C3DP56Q5, although this actually might be a misquote from the POPLA annual report.. This was the ill-fated attempt of Stephen Duff to try and extract keeper details from the DVLA without belonging to an appropriate trade association. R is presumably Ransomes Park. The leave to appeal refusal used by some parking companies to assert that at all times the driver is an agent of the keeper. This argument favoured only by legal minnows is rebuffed by judges who point out that it is not appropriate, while presumably trying to stop laughing and keep a straight face. Excel v Ms X. Stockport 2016/7. The defendant visited the Peel Centre with one other person in 2015. Neither could remember who was driving, and the photographs provided by Excel were no help. A valid parking ticket was purchased by the other person. Unfortunately, they absent mindedly entered their own registration number instead of the correct registration. Excel were informed of this, but refused to cancel the charge. The Defendant represented herself. Excel were represented by Mr Pickup. In Court the DDJ concentrated on the Keeper Liability argument. The notice to keeper was served out of time and did not contain paragraphs 9.2.e and 9.2.f. The DDJ asked Ms X to show where in the Protection of Freedoms Act 2012 were the consequences of serving the Keeper Liability Notice out of time. She commented that Ms X had provided no evidence as to when the notice was received and could not show it was not delivered the day after issue. Ms X referred to S9( (1)(2c, 2f) and (6), which shows the notice is presumed delivered 2 days after posting and presented copies of these pages (7&8) of the Act. This was not accepted as Ms X did not have the complete Act with her. The Judge said that as this argument was not given in detail in the Defence or Witness Statement it would not be admissible. She offered to adjourn the case and allow Ms X to resubmit her Defence and witness statements or continue that day if she agreed to drop this part of the Defence. The Claimant's solicitor was requested to seek instructions from his principals as to whether they would agree to an adjournment and what costs would be claimed. Ms X pointed out that her defence stated Keeper Liability did not apply and her legal argument gave the reasons. The parties adjourned for lunch and to consider their positions. After lunch the DDJ immediately declared her ruling on the Keeper Liability issue. The Protection of Freedoms Act 2012 was not relevant to the case and so Keeper Liability was not an issue she needed address. The onus was on the Claimant to prove the Defendant was driving the vehicle. It was quite proper for legal arguments not to be included in the defence or witness statement and that point 4(a) of the defence covered the issue. Further the Claimant confirmed they had received a copy of the defence and had raised nothing in the Allocation Questionnaire to require further particulars of that assertion. The DDJ asked the Claimant's solicitor to agree they would not pursue Keeper Liability and then the case could proceed. Such an undertaking on this was given. The Claimant's solicitor asked for an adjournment for instructions from his principals before the case proceeded. The DDJ then gave her judgment. She said the case was most unusual. The DDJ said the onus was on the Claimant to submit further evidence that the Defendant was on the balance of probability the driver of the vehicle on that occasion and Claimant may wish to consult Counsel on the issue as well as give consideration to (d) of the Defence (no basis for any additional charge), or they may be content to proceed without Counsel. There was no order as to costs and the judge did not reserve the new hearing to herself. There were other Excel cases that day and Mr Pickup told Ms X he wins most parking cases quickly. Excel did not bother to comply with the judgment and the claim was struck out by DJ Lateef. The Prankster is so familiar with the Protection of Freedoms Act he sometimes forgets other people are not, which includes judges and motorists. Excel are of course perfectly aware and for years have stated they do not rely on the Act. It is therefore rather two-faced to pretend the Act applies when faced with another party who is not so conversant with the Act. The Prankster suspects the DDJ had a quick read of the Act over lunch and realised that Excel's claim was bogus. DDJs have online access to statutes in the courtroom, but notwithstanding this, it would seem good practice to file a copy in your bundle so there is no wiggle room. There really was no good reason to adjourn the case. Given the size of the claim it would be a complete waste of court time to come back for another visit, given that Excel had already submitted all the evidence they had on the matter. Is Rupert Williiams of UKPC shafting his employees? The Prankster has received information that Rupert Williams of UKPC is shafting his employees. Mr Williams can of course conduct affairs in his company as he wishes, as he has all the class A shares in his company - the only ones which have voting rights. These do not make easy bedfellows with the class B shares. These are all owned by his wife, Amanda Williams, and do not have any voting rights. Amanda Williams is obviously not feeling the love as she was terminated as secretary in September 2016. UKPC's annual accounts reveal the business employs 209 employees, and Mr Williams states on page 2 of the report that retention and training is of utmost importance. Mr Williams has devised schemes to motivate and incentivise his employees. Wages and salaries came to £4,308,290, or an average of £20,613 per employee. However, the employee breakdown is 149 operations 10 management, 40 administration. It appears from this recent advert that attendants (operations) get between £13,650 and £16,380. Assuming they all get £9/hour, this leaves £1,867,670, or an average of around £37,000 for management and administration. Of course, this is only an average. Some employees may be getting a lot more from Rupert than others. Mr Williams on the other hand, has awarded himself** £663,861 in dividends. 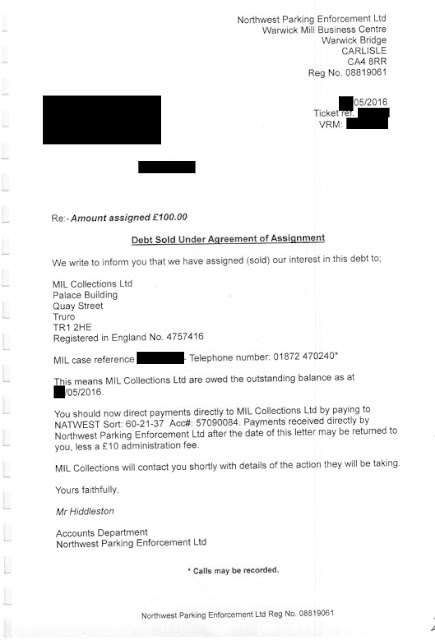 Not content with that, he has effectively paid himself another £690,821 by writing off loans of £639,538 to Pins and Stripes Ltd and advancing them another £51,283. Rupert owns all the shares in Pins and Stripes Ltd.
As Pins and Stripes are in liquidation, UKPC are unlikely to get any of that back. Mr Williams also gets another £7k in salary. So, the Prankster considers Mr Williams is shafting his employees, given that he is taking £1.4 million a year from the business, or around 100 times more than his operations staff get. Rupert also appears to be putting himself around a bit, with a number of other companies listing him as officer. However, it is not all bad news. The business retains £362,848 assets so there is plenty of money to expand, hire new employees and improve the business. Perhaps Rupert could consider getting rid of paper permits in his residential car parks and moving into the 21century with electronic registration of resident and visitor cars. So, is Mr Williams shafting his employees? Only his employees can really answer that, so if any UKPC employee is reading this and agrees or disagrees, they are of course free to email the Prankster at prankster@parking-prankster.com and explain how they are feeling the love (or not), and remain motivated and incentivised. Perhaps they are all happy to be part of a vibrant, growing company with a lovely career path ahead of them, and enough capital retained in the business that there is not prospect of cutbacks or redundancies. **It is not clear how dividends were allocated between A and B shareholders, so The Prankster is not sure whether Amanda is getting any or not. MIL Collections promises DVLA it will not continue to process data. But lies. The DVLA is investigating parking company agreements with MIL Collections to see if they are sub-contractor agreements or not. MIL Collections have told the DVLA they will not process DVLA data obtained from any parking company. The DVLA confirmed this in an email from David Dunford dated 2 Feb 2017. The Prankster therefore wonders why MIL Collections continues to process DVLA data in complete disregard if its promise to the DVLA. The Prankster suggests any motorist who MIL is taking action against does the following. 1) Check if their data was obtained from the DVLA (if they got a notice to keeper, then this will be the case). If you don't know, ask the DVLA by giving them your registration and the date of the event. It may be worth copying in David Dunford who is investigating this. If MIL have provided you a copy of the alleged deed of assignment between MIL and the parking company, send the DVLA a copy. MIL seem to be reusing the same deed pretending it was enacted on different dates. Here is what a typical one looks like. MIL told the court this one was assigned by Northwest Parking Enforcement Limited in April 2016. If your copy looks exactly the same but MIL said was enacted on a different date, point this out to the DVLA. Also send the DVLA a copy of the letter of assignment, purportedly from the parking company, but actually sent by MIL. This one was also purportedly assigned in April 2016. The DVLA can then take these documents and compare them with the documents MIL and the parking company have given the DVLA, to see if there are any inconsistencies. If the DVLA confirm to you that MIL should not be using your data, you can then forward their letter to MIL and ask them to stop. You can also consider a claim against the parking company for misusing your data. A valid claim would seem to be in the region of £250 to £750, depending on the severity of the breach. If you have a court hearing in the next few days and don't have time to wait for the DVLA, take a copy of the above email to court and ask MIL's representative to explain. Any decent representative will contact MIL for clarification. Back in 2014, Mrs D's car was being driven by a man, who parked in Lowther Street, Carlisle, and went to purchase a ticket. While he was doing so, NorthWest Parking Enforcement issued a Notice to Driver (NtD), and this was followed up by a Notice to Keeper, 62 days after the NtD. As this meant Keeper Liability was not engaged, Mrs D studiously ignored the begging letters from NWPE, Debt Recovery Plus, their alter-ego Zenith Collections and finally, MIL Collections, who decided to take the matter to court. HO87, a well know MIL expert and forum regular prepared the silver bullets, and, as is so often the case, asked John Wilkie if he could take aim and fire. In court today, MIL finally fielded an advocate with rights of Audience, Ms Coulson of 18 St John Street Chambers. Mr Wilkie appeared for the Defendant. Ms Coulson was polite, courteous and friendly, and her comments to Mrs D following the case were appreciated. Mr Wilkie wants to state what a pleasure it was to have an opponent who knew what she was doing and to face a decent challenge in court, and what a pity it was that the MIL evidence was of the usual quality. After a discussion on signs, markings, times and Beavis, the matter turned on two questions. compliance with the Protection of Freedoms Act 2012 sch 4 (POFA). In handing down his judgment, the judge ruled in respect of the first matter, the deed of assignment was not dated, has no context, did not deal with the debt in question and as such was invalid. For completeness, the judge also stated that, without positive evidence of the driver, MIL could not pursue the Keeper unless they were relying on POFA. Elliot v Loake, Barnard v Sully and CPS v AJH Films are of no support to a common law presumption. Claim dismissed, with £108 costs to the Defendant. not known on this occasion. Given the paucity of their paperwork and lack of any right to actually pursue these charges, one has to wonder why they bothered trying to polish this particular turd. It is good to see MIL finally using an advocate with rights of audience, and the Prankster hopes this move to lawful conduct will be reflected in other elements of MIL's business. In the meantime, the Prankster is aware of a number of discontinuances issued by MIL, and wonders what Mr Wilkie may have been doing behind the scenes - he's not just a pretty face. (Actually, having met him, he's not EVEN a pretty face). The Prankster also wonders what MIL were doing pursuing a case where NorthWest Parking Enforcement purchased keeper details from the DVLA. The Prankster was under the impression that MIL had promised the DVLA they would stop processing cases where the keeper date came from the DVLA. 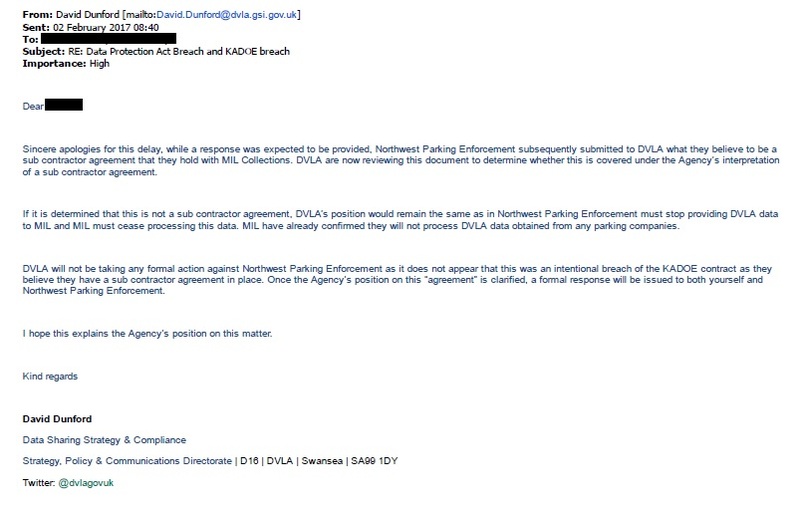 MIL have already confirmed they will not process DVLA data obtained from any parking companies. So, why are MIL providing false information to the DVLA? And if they think they can provide false information to the DVLA and get away with it, how can anyone trust anything from them? Lamilad had a large number of parking charges issued against his vehicle, but he was not the driver. He posted some comments on a pepipoo forum which Jake Burgess, Excel's representative, tried to twist to say he was lying when he said he was not the driver. Excel already lost one case regarding some of the tickets. Here is how the second went down on the day. Jake had been asked to get the transcript from case #1, and Excel had to file a further statement saying how they could rely on POFA (they couldn’t), and how they could infer from his thread on Pepipoo that he had been driving (they couldn’t do that either). 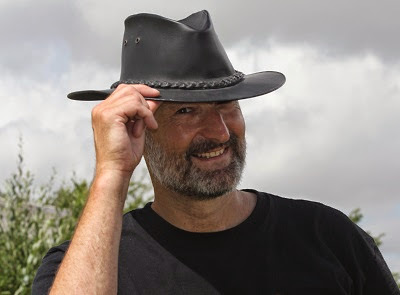 Jake Burgess submitted a second Witness Statement for Excel in December, which was basically a character assassination on Lamilad attacking his credibility and twisting his comments made on the forum. Lamilad considered it really quite offensive and borderline defamatory.... but supposed that desperation can lead to such behaviour. In his pepipoo thread he'd stated that he couldn't remember the event or who was driving, but in his Witness Statement he'd stated that he definitely was not driving. Jake tried to say both can't be true therefore Lamilad was lying and not a 'credible' witness. The problem (for Jake) was the thread he was quoting from was about the previous case back in November, involving a different vehicle and which had no bearing on this case whatsoever. Lamilad addressed the comment (which was among the first few comments posted), by saying truthfully that at the time of receiving the court papers he could not recollect an otherwise unremarkable event on an unremarkable day. It was only as he investigated further, over the coming weeks and months, that he knew that he couldn't have been the driver and so was able to state as much in his witness statement. Jake also picked up on a comment where Lamilad said he uses the car park regularly yet in both cases he had stated that he had not ever driven either vehicle to the car park in question. This is true as he was referring to the fact that he used to use the car park regularly a few years ago when he owned a different vehicle. Bargepole and Coupon-mad helped with a rebuttal document, and both parties returned in front of the same judge. Lamilad reported the session became brutal, regarding jake as a smart cookie who gave him a rough ride. Lamilad gave as good as he got... and then some! It nearly turned into a slanging match a couple of times. The judge was surprisingly lenient with the parties shouting at each other across the desk. In the final judgment the judge insisted it was either PoFA compliance or proof of driver and Excel had neither. The judge ruled Jake's case, though well argued, was 2 dimensional and lacked any real substance. The judge wanted something concrete and Jake couldn't offer anything. Costs of £104.50 were awarded to Lamilad. Comments on forums are monitored by parking companies and can be used against you. As Lamilad pointed out, your words can be twisted to try and mean something else. Always be careful when posting on forums. Lamilad has said he will make available the transcript from hearing #1, which will be helpful to anyone defending a case where they were not the driver. 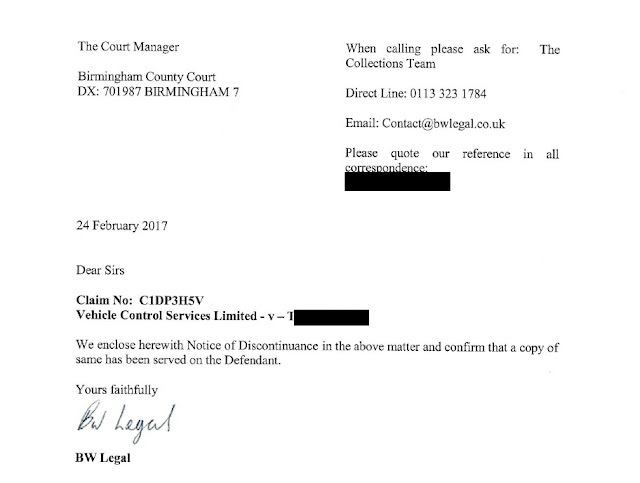 Ms A was in court with VCS regarding an alleged parking incident at Albert Street Car Park, Birmingham. Ms A was not the driver and all the signage at Albert Street suggested Excel were the operator, not VCS. Confused? So was Ms A, and the judge as all the photo evidence in BW Legal's witness statement seemed to confirm that Excel were the operator. 2. VCS were not the lawful claimant as the signage was in the name of Excel. However, as the case got underway, Ms A remembered something she read about rights of audience and casually asked the judge if the BW Legal hired gun, Mr Rep had a right of audience. The judges ears pricked up and there was an audible groan from the direction of Mr Rep muttering “Not again!”. The judge asked what this was about and Mr Rep handed him a letter mumbling something about it being “..accepted in a court up North.”. The judge read the letter and moved right on. As Ms A had come well prepared for the usual BW Legal shenanigans, both Elliott v Loake and Combined Parking Solutions vs AJH Films were dispensed with as irrelevant as usual, the former being a criminal case and the latter involving employer liability for an employee's actions and also irrelevant, despite Mr Rep’s best efforts to polish this particular object. With no proof Ms A was the driver, no PoFA compliance and no evidence that VCS were the proper claimant, the judge ruled in Ms A’s favour with no costs awarded. Ms A was left feeling rather sorry for Mr Rep as he appeared to have been handed a hospital pass by those titans of the legal industry BW Legal, but soldiered on gamely Mr Rep kindly opened the door for Ms A – a gentleman to the end – and left without saying anything. Vehicle Control Services have been well aware of this problem with Albert Street, Birmingham for a number of years. Previously they have always chickened out of proceeding to a full hearing, the last time being Birmingham in January 2017 when they handed in a discontinuance notice at the beginning of the hearing. As they would have been well aware they had no case for many years, Simon Renshaw-Smith needs to closely examine his morals. The Prankster wonders why he puts motorists through the ordeal of a court case when he is well aware he has no cause of action. Presumably he hopes that both the judge and the motorist will not notice the wording on the signage, and so he he will sneak an unwarranted charge past the court. As an aside, nothing should be passed to the judge which is not also given to the other party. If this happens to you, ask for a copy. Ms P purchased a ticket at the Peel Centre but due to the well-publicised faults in the Metric Parking Machines Excel use, her ticket was only printed with two letters of the VRM. Excel issued Ms P a parking charge which she declined to pay. Eventually they issued a court claim for £241.96. The judge ruled that it was up to Excel to prove that the machines were in correct working order, and that Ms P's word stacked up with the evidence (a partial registration recorded in the machine log). Ms P drove home the point that the machine should be linked to the ANPR so that it is impossible to buy a ticket without the full registration. The judge wasn't happy with some of the court bundle produced by Excel. The email appeal was barely legible (Ms P had a typed copy that she gave to her). They also included images of the tariff board that were different to the ones in place on the date Ms P parked. As the judge laid into the BW Legal stooge Ms P actually felt a bit sorry for the solicitor at some points! Ms P included in her bundle a copy of the judgement from Excel Vs Mrs S case, also heard in Oldham, and when she made her judgement, the judge read sections from the case provided to inform her own judgment. She also made references to the Parking Prankster blogs Ms P had included about faulty machines on the Peel Centre. Excel's boss Simon Renshaw-Smith thinks it fair that he makes extra money from motorists by using shoddy machines which fail. The Prankster disagrees, and thinks this is morally wrong. It appears that judges, at least in Oldham, agree. Parking court hearings are an increasing burden on the court service, and today saw a new record high in England and Wales with the number of hearings beating 50 for the first time. for a total of 51. Another 8 cases were heard in Scotland. Manchester was the busiest court with 14 hearings. Birmingham was next, with 7. The Roboclaims business has made it viable to take out speculative claims, regardless of merit, on the basis that most people are scared of the courts system so will pay up. However, as more and more people use the internet for research, the scam nature of large numbers of these claims are exposed, and with the facts available motorists can file a robust defence and proceed to a hearing. The maths is simple. Suppose a motorist folds on receiving the claim, paying the parking company £175. After court costs, they clear £150. If a motorist defends and wins, the parking company pay £50 court costs £150 advocate costs and £100 motorist costs, losing £300. If 9 out of 10 motorist fold, the parking company clears £1350, for a cost of £300. The overall profit is £1050. A number of pressure, information and help groups are springing up on the internet. This dramatically changes the picture. In some areas 9 of 10 cases will now go to a hearing, and courts are reporting huge backlogs. The maths now becomes £150 taken by the parking company and £2700 lost. With a counterclaim of £250 (and £25 court fee), the losses could rise by another £2475. Only time will tell how this pans out as more self-help groups spring up. There is an old saying that a fool is a person who does the same thing, twice, expecting a different result. Now, while we do live in a probabilistic universe where anything /could/ happen, that description seems to be a dictionary definition of Edmund Shoreham-Lawson of Elms Legal. On 17 January, Ed sent Ms Kauser, an independent advocate and unregistered Barrister, to an MIL hearing at Burnley, previously reported. Mr Wilkie, as a Lay Rep, questioned her right of audience, and she was not allowed to continue with the case. On 3 February, Ed sent Ms Kauser, an independent advocate and unregistered Barrister, to an MIL hearing at Oldham where, again, Mr Wilkie, as a Lay Rep, questioned her right of audience, and she was not allowed to continue with the case. In passing, she did say that the Burnley case was to be appealed, and asked for leave to appeal the Oldham finding. The Burnley case has not been appealed at the time this blog was published. Today, Ed sent Mr Howes (senior), a FILEx, to an Excel hearing in Manchester, where Mr Wilkie questioned his right of audience, and, again, the judge examined the matter and did not allow Mr Howes to proceed with the matter. So, three times Mr Shoreham-Lawson has sent advocates to hearings, knowing that they do not meet the tests in Schedule 3, section 1(7) of the Legal Services Act 2007. Under that act, it is an offence to seek to conduct legal proceedings without a relevant right of audience, and therefore it is an offence to attempt, incite another or conspire with another to seek to do so. Mr Shoreham-Lawson's business model seems likely to start suffering from some form of die-back disease. Additionally, Mr Wilkie, as Bargepole and Prankster himself, all have rights of audience under Schedule 3, section 1(3) if their client attends, thanks to the Lay Rep order 1999. I am happy to say that, without exception, I find the advocates I deal with at court to be personable, friendly people, with whom I could happily share an office, coffee-shop or pub. This includes Ms Kauser, and Mr Howes (senior), and I want to make it clear that my applications are not, in any way a reflection on their capability or qualities as advocates. protection of the public as a whole. It is clear that the person in the wrong in this matter is, in fact Ed Shoreham-Lawson, and representations about this will be made to CILEx. BW Legal lose case despite their impeccable rating, badges and time served in the industry. Mr "Fackers" found a yellow PCN ticket on his window in May 2015. There were no signs, pay and display machines or warnings of private property in any way, and he was also advised by the company that he was visiting that it would be fine to park where he did. He therefore sent a letter to VCS to appeal the charge. H did not receive any reply. A year later he received a claim form from BW Legal for £236.46. The form was the usual roboclaim template which failed to comply with practice directions, failing to provide information required by Civil Procedure Rule 16.4 and Practice Direction 16, paragraphs 7.3 – 7.5, failing to provide these in further particulars as allowed by PD16 3.2(2), and failing to sign as required by PD22 paragraph 3.1. "BW Legal" is not an allowable signatory. However, BW Legal do not need to observe practice directions like the rest of us riff-raff due to their impeccable rating, so this was all fine. In august 2016 BW Legal then forgot to carry on with the claim due to their important work elsewhere, no doubt responding to complaints from motorists and the Credit Services Association, so the case was stayed. Although it was not worth their while carrying on, they did anyway, paying to remove the stay. In November a mediation call occurred. Mr Fackers began at £5 which gave BW Legal the hump and they threatened to not offer anything lower than their fee due to unreasonable demand of £5. Mr Fackers eventually went up as far as £80 but the lowest they would come down to was £150. The Prankster notes that BW Legal only get paid once VCS have taken their £100 cut, so will never go much lower that that. The court ordered all papers to be filed by 22 December ready for an 8th February hearing. On 20th December neither side had sent their papers. BW Legal, obviously wanting to scoot off for the office Christmas party, phoned with an offer to settle. They offered £196 but were happy to bring it down to £150 which was the price of the settlement in mediation. Mr Fackers suggested he might settle for £125. He also asked if they had sent the documents yet, and the guy at BW Legal said they don't need to; they are always ok with turning up on the day with them? The Prankster notes this is acceptable behaviour because of the time served in the industry. Mr Fackers sent off his bundle. The next day Mr Fackers received an email offering to settle for £140. You see the thing is, if BW Legal actually have to turn up in court, they lose tons of money, because they have to pay £150 - £200 for a solicitor to turn up and represent them. They don't get this back, even if they win. Ironically they could offer to pay Mr Fackers £40, bung VCS their £100 and still come out on top if they avoided a court hearing. Mr Fackers said his lowest potential offer was £135. BW Legal called back to ay that was acceptable. Mr Fackers said he needed to think about it. BW Legal's bundle turned up on 5th January 10 days after the deadline. They asked the court to strike out the defence due to his basic evidence and their impeccable rating, badges and time served in the industry. Much merriment was had in the Fackers household because the pictures it contained were of a different car park, the car park was in a different name (Excel Parking) and the contact was dated after the parking event. Mr Fackers wrote asking the court to strike out the claim because the bundle was late, but the court refused. The judge said he had never seen a defence case so well prepared and detailed. He had obviously missed the bit in BW Legals statement that the defence was basic. For some reason he had also not heard of BW Legals impeccable rating, badges and time served in the industry. The Prankster can scarcely believe it. BW Legals case began to dissolve immediately due to most of their images having no dates and times and no conclusive references of the car. Their Solicitor tried to get a 2 week adjournment to find 'new images and evidence'. He spent 30 mins on the phone then tried to barter with Mr Feckers to accept an adjournment, which of course he didn't want to discuss away from the judge. When asked in front of the judge why he didn't think it was fair to adjourn Mr Feckers replied that their defence was late by 7 days, their information was in any case falsified based on images from their defence, and that the court day was today and they'd had almost 2 years to prepare. He then turned their whole witness statement back on them. 1. - On their 'contract' (which they called an Agreement between the landowner and VCS), the signed date was also over a year after the alleged offence. 2. - Their images were blatantly of the wrong location. Mr Feckers was allowed to use his iPAD to reference the distance on google maps using the street view feature. The judge concluded by denying the adjournment, stating that Mr Feckers had made such a valid effort and detailed cross reference of their mistakes that he had rightfully won outright. He then dismissed the claim. The Prankster awards BW Legal a badge for gross incompetence, which they can add to their other badges. Ms X received a parking fine in January 2015 from Excel. When she read it she was flabbergasted as it was for a car park in Birmingham - a place she has never visited. She contacted Excel straight away who directed her to contact the police which she did. She received a log number for the call which she passed onto the company. Months passed and she received more letters but took bad advice from forums and ignored them. Unfortunately this was the wrong thing to do. She received court proceedings and filed a defence stating the obvious that it wasn't her; the police informed her that her car must have been cloned. She appeared in Liverpool County Court and the judge decided to adjourn as Excel's case was that the lady had only produced a report number, not a crime number. The judge awarded £75 in wasted costs to Excel. Ms X was given 2 weeks to come up with a crime reference. However, when Ms X tried to contact the police they refused to give a crime reference as a crime had not been committed against her by cloning her plates. At this point she began to worry as she had been informed a CCJ could cost her her job at the post office. At this point Coupon-Mad stepped in and helped create a witness statement which fully explained the situation. Ms X had been at the hairdresser at the time, so she got a photograph of her appointment book plus a witness statement confirming she was at her salon. Luckily enough her father keeps a diary and he had written in it he had collected her to go shopping, so this also formed part of the evidence. She returned to court on 1st February. The judge was the same as before and when she walked in she could tell he was impressed with the evidence pack. The judge went through the evidence and asked the VCS solicitor how he wanted to proceed and he just shook his head saying "She has proved she wasn't the driver." Ms X nearly fell off the chair. The judge then read through the entire case and then asked me if she had anything to say. "Yes please, I would like to state that for 2 years I have worried about this case, I had a phone call a week before the hearing telling me that they would not accept my witness statement and I should accept an offer to pay a reduced amount with a payment plan." The BW Legal enforcer then tried to con her that the 'fine' would rise to £500 is she went back to court. He tried to say the judge would not accept her new witness statement and evidence and he had only allowed her to get a crime reference number, which she had not done. Ms X therefore said that due to all her stress and running around chasing her tail she would like the £75.00 court fees she had incurred written off. The judge once again asked the solicitor what he thought and his answer was "Well sir you did make that order and she did get a second chance." Once again Ms X nearly fell off the chair! She asked could she reply and the judge said "No I have this". He then proceed to to reel off the evidence she had supplied, then all the flaws in the VCS witness statement and his final sentence was "and seeing as your company deal with these issues day in and day out, you should have known a crime reference number wouldn't be supplied so you wasted all of our time, so I wipe the costs!" Ms X nearly did a cartwheel but instead went right up to the judge and shook his hand and thanked him for being understanding and wished him a great day. She walked out 10 foot tall. A hat tip to the VCS solicitor they hired on the day for conceding Ms X was not the driver. The Prankster knows some solicitors who would not have done this - for instance the one who tried to argue that although the car was recorded as having an MOT at the time, perhaps the mechanics were not carrying out the MOT in their garage, but in a car park a few miles away. Congratulations to Coupon-Mad, rescuer of lost causes. The Prankster also suspects this was not a cloned car after all, but a simple ANPR misread. This would appear much more likely, given the poor accuracy of ANPR. He has not seen the VCS evidence though, so cannot confirm this. Of course, sometimes your car really is cloned. The Prankster recommends personalising your car so that there is some unique feature near your numberplates which you can use to identify your car. Finally, The Prankster would like to highlight the despicable behavior of BW Legal. Phone calls like this drag the legal industry and the parking industry into disrepute.